New European Union rules coming into effect this week will slash the cost of using your mobile in most of Europe. But while it’s been touted as “the end of roaming charges”, it’s not that simple. If you’re travelling in Europe this summer, here are 10 things you need to know about the new ‘Roam Like At Home’ rules, which apply from Thursday 15 June 2017. For full help on how to cut the costs of roaming – ie, using your phone abroad – plus what to do if travelling outside Europe. 1. ‘Free’ roaming means you won’t be charged extra fees to use your UK allowance of minutes, texts or (most) data when in the EU. As a general rule, you’ll be able to use your phone for the same cost as in the UK. So minutes, texts and data will come out of your UK allowance, and when you exceed your allowance (or if you’re a pay-as-you-go user), you just pay what you would in the UK. There are a couple of exceptions though – see below. 2. The changes to roaming charges will take place automatically – there’s no need to sign up to anything. It’s up to mobile phone providers to implement the EU rules (some already have). You don’t need to do anything to benefit. 3. The new EU rules will soon apply beyond the EU. From today (Thursday), ‘free’ roaming will apply to all 28 EU countries. But it’ll be extended to Iceland, Liechtenstein and Norway (the three additional countries in the European Economic Area, if you like jargon) within a few weeks, if not sooner – we should know the exact date shortly. That still leaves a number of European countries where the new rules won’t apply – though some providers may voluntarily let you use your UK allowance there anyway. If you’re travelling to Andorra, Albania, Belarus, Bosnia and Herzegovina, Kosovo, Macedonia, Moldova, Monaco, Montenegro, San Marino, Serbia, Switzerland, Turkey, Ukraine or the Vatican City, check with your network (in practice, you may not be charged extra when visiting some of the tiny countries on this list anyway). 4. Calls to EU numbers while roaming – say, if you call the restaurant down the road – will come from your UK allowance. Under the new EU rules, while roaming in the EU you’ll be able to call most landlines and mobiles within the EU (and in due course, Iceland, Liechtenstein and Norway too) paying just what you’d pay in the UK. So if you’re in Italy, and call an Italian restaurant, the minutes will be deducted from your allowance and you won’t pay anything extra – just as if you were in the UK calling a UK number. It is possible that a few EU numbers, for example premium rate numbers, could still cost more when called from the EU, even if there’s no extra roaming charge – so if you’re unsure, check with your provider. Calls to EU countries from a UK phone in the UK won’t be considered roaming and will be charged by your network as an international phone call. The exact amount of your data allowance you can use before these extra charges kick in varies by provider. For example, Three pay-monthly customers will be able to use the first 12GB of their data allowance free (9GB for pay-as-you-go users) and then have to pay £7.30/GB to use the remainder of their allowance. EE’s ‘fair use’ limit is 15GB, while Vodafone says it won’t set one. 6. 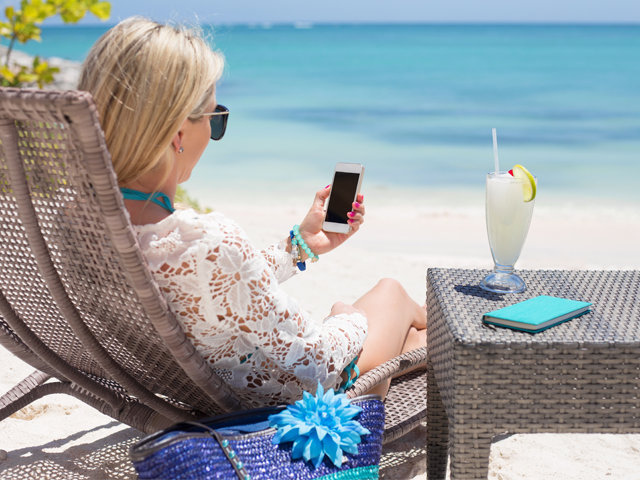 The new EU rules apply to mobile phone users on trips abroad – not those who move abroad. This is another ‘fair use’ limit. Under ‘Roam Like At Home’, if in any given four-month period your phone is outside the UK for over half the time, your network CAN charge you roaming fees on calls, texts and data usage. So if you’re staying in another ‘Roam Like At Home’ country for longer than a few weeks, it may work out cheaper to buy a local Sim. 7. Brexit won’t affect the new EU rules – for now. Right now, the UK’s still a member of the EU, so the new rules apply to UK mobile users. When the UK leaves the EU, they won’t. But it’s not yet clear if that means mobile roaming costs will rocket, or if new arrangements will be put in place to keep them down. 8. Data fiend? Wi-Fi’s still a better bet if you can find it free. If you’ve movies to download or a stack of photos to share on Facebook, it’s still probably best to use free Wi-Fi in a hotel, bar, cafe or restaurant if you can find it. That way you won’t burn through your data allowance (and potentially risk extra charges if you’re on a cheap or unlimited deal). 9. If you regularly cross a border to go to work (eg, between Northern Ireland and the Republic of Ireland) you won’t be considered to be roaming. Under the new rules, if your phone ‘logs’ in to your home country’s network for at least a short while each day, you won’t be considered to be ‘roaming’ at any point that day. The same will apply to people living in Kent who can find that their phone switches to a French network every so often. And in fact, it’s likely to apply to everyone travelling outside the UK in the EU on the day they arrive and the day they leave – though we’re checking this with the European Commission, which introduced the rules, and will update this story when we know more. Obviously for most this won’t make much difference in practice, as roaming charges are largely disappearing anyway. But if you’re a heavy data user it means you’re less likely to be caught out by ‘fair use’ rules. 10. The new rules may not apply onboard ferries or cruise ships. If you’re on a ship and your phone is able to connect to a terrestrial phone network in one of the countries covered by the ‘Roam Like At Home’ rules, they will apply. However, if your mobile uses an onboard satellite system to get a signal, that provider’s not bound by the new EU rules and you’re likely to be charged a fair whack – even if sailing from one EU country to another. So if you’re crossing the Channel, it might be worth turning off roaming on your phone to avoid it inadvertently connecting to the ship’s onboard satellite system. Some ferry companies offer free onboard Wi-Fi, so use that if you can.